The announcement of the launch of the brand was made last November, with production of its first model beginning the same month. Now, five months on, GM’s newest car brand, Baojun, has officially launched the Baojun 630 into the market. Aimed specifically at the Chinese market, the 1.5 litre Euro IV-compliant sedan – which sits on a Buick Excelle platform – has been designed to attract young drivers in the country’s second- and third-tier cities, primarily the middle-class crowd in its vast interior. Produced by GM and its partners Shanghai Automotive Industry Corporation Group and Wuling Motors in Liuzhou, Guangxi, the Baojun 630 is set to address the growing demand across the country for affordable personal transportation, and will be attractively priced between US$10,000 and US$15,000. 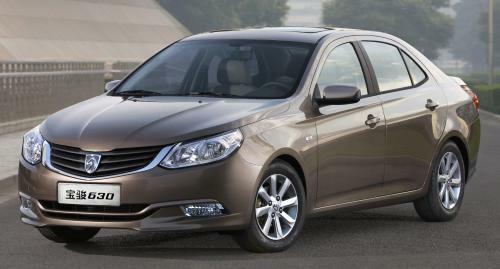 Baojun, which means “treasured horse”, will start selling the 630 later this month. It has a network of 150 dedicated dealerships across the country, but the number of dealerships is expected to double by the end of the year, says GM.